New Naughtybaby Cloth Diaper. 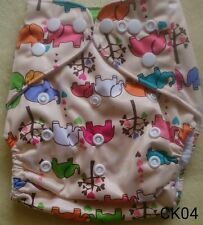 Cloth diaper shells are made of suede cloth inner lining. 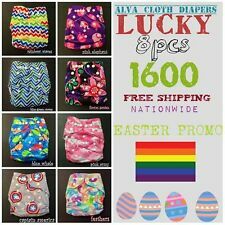 Package includes:1 x cloth diaper shell. Safe for baby's skin. Washable, reusable, eco-friendly and budget friendly. Benefits:♥ Makes diaper changing and potty training easier. No extra layers to pull off. ♥ Keeps baby's legs/arms warm during cold weather. ♥ Ribbing on top and bottom ensures a good fit. New Naughtybaby Cloth Diaper with Bamboo Charcoal Insert Set. Cloth diaper shell is made of suede cloth inner lining. Insert is made of 5-layer bamboo charcoal which can absorb about 4 to 5 hours. 8x8 inches. 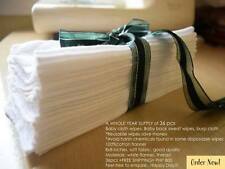 Reusable wipes save money. Avoid harsh chemicals found in some disposable wipes. Very soft fabric,good quality. 36pcs/bundle. 00% cotton flannel. Materials: white flannel, thread. 09367081280. For Faster transaction call or text. For more design:Visit facebook page:jasminesummerbabyonlinestore. 1600 Only. 5-layer Bamboo Charcoal Diaper Inserts. Use bamboo charcoal insert together with the cloth diaper shell. It is 5-layer bamboo charcoal insert which can absorb about 4 to 5 hours. New Naughtybaby Cloth Diapers with Bamboo Charcoal Inserts Set of 5. Cloth diapers are made of suede cloth inner lining. Inserts are made of 5-layer bamboo charcoal which can absorb about 3 to 4 hours. New Naughtybaby Cloth Diapers with Bamboo Charcoal Inserts Set of 5. Cloth diapers are made of suede cloth inner lining. Inserts are made of 5-layer bamboo charcoal which can absorb about 4 to 5 hours. Use when you do not want to sit in an unsanitary public toilet or when one is not available. Discreet, portable and reusable. Designed not to flow back, splash or spill. If item is defective after 3 months, you can still send it back to us. Model Maximum Strength Original Paste. 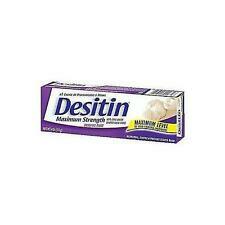 Contains the maximum level of zinc oxide available without a prescription. MPN Does Not Apply. 2450 lanolin 8020846. It can be used at every diaper change to help prevent diaper rash. Safe to use at every diaper change. El 28-ene-19 a las 08:58:15 H.Esp, el vendedor añadió los siguientes datos 1 x Storage Box(Wipes are not included). Size: 210 140 75mm (L W H). Color: Random. Material: PP Plastic. Your baby is free to make a splash in Pampers Splashers disposable swim nappies. Pampers Splashers don't swell in water like regular nappies, giving your baby a comfortable fit when wet or dry. Only Pampers Splashers are designed with a 360°, all-around stretchy waistband that fits like swimwear and easily pulls on and off—even when wet. Japan imported Disney Mickey Mouse Baby Table Placemat / Changing / Leisure / Picnic Mat. Accented with the Adorable Mickey Mouse images Prints on the front. Great for your little kid to use such activities as play-dough or painting. Il braccialetto di magia del silicone del bambino di MagiDeal 10pcs mastica Was3.64 x 1 Price:2.84 x 1. Il braccialetto di magia del silicone del bambino di MagiDeal 10pcs mastica Was2.50 x 1 Price:1.96 x 1. Â¡Lo mismo que la cosa verdadera pero muÃ±eca tamaÃ±o! Ajuste muÃ±ecas hasta 46cm (18"). Acerca de nosotros. Construction Toys. Enlaces Ãºtiles. When a small amount is applied to clean, dry skin as part of the nappy change routine, the cream creates a barrier between baby’s delicate skin and the nappy. Clinically tested, Zinc and Castor is Dermatologist and Paediatrician approved. Featured with a plastic locking head to make a secure hold. Quantity: 145. Ideal for cloth diapering, and lots of other purposes such as sewing, baby showers and craft works. Note: Light shooting and different displays may cause the color of the item in the picture a little different from the real thing. ( other accessories are not included ). Also note that monitor settings may vary from computer to computer and may distort actual colors. ★ We will reply you ASAP. CIUCCIO MASSAGGIA GENGIVE NUBY. e massaggia i primi dentini. Compreso in omaggio. gel 15gr per aiutare la dentizione. Il design unico garantisce comfort alle gengive. Ricordo inoltre che in base alla legge del Codice Civile art. 1510, comma 2. Un buon giocattolo da dentizione potrebbe lenire quando i loro denti iniziano a spingere in avanti. - Il teether aiuterà i bambini a promuovere lo sviluppo della percezione sensoriale. A causa della misurazione manuale, potrebbero esserci errori di 1-2 mm. Il teether aiuterà i bambini a promuovere lo sviluppo della percezione sensoriale. - Un buon giocattolo da dentizione potrebbe lenire quando i loro denti iniziano a spingere in avanti. - Materiale: gomma e plastica. Con cremallera. Con dibujo de buho.